Does your job coerce you to be on the move often and you feel sorry for not being able to find a rental car for your next trip? 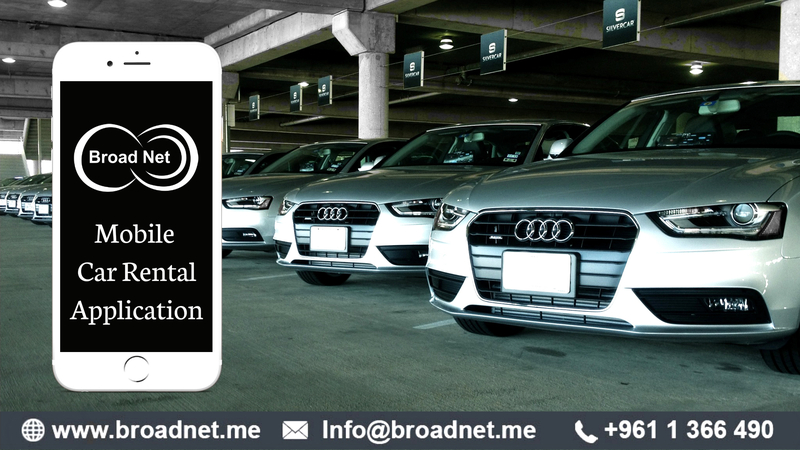 If yes, we at BroadNet Technologies have a perfect solution in the form of a picture-perfect mobile application, which lets you off worrying about your car rental booking once and for all! With our best app for car rental, booking a car rental for your next trip is just like shooting fish in a barrel! Just pick up your iPhone or Android mobile device and book a car rental in a few easy steps. Whether you use iPhone & iPad, Android or Windows phone, our Best App For Car Rental is guaranteed to delivering the same user experience that you have always experienced on your personal computer or a laptop. Just open our mobile car rental app, add your pick-up location details with time and start browsing through the most affordable car rental deals to choose the one that fits your preferences and needs to a nicety. Book and print the voucher to pick your car up. Rather than taking up the hassle to start searching for a car rental on your computer or asking others to help you cater to the job, you now have the convenience to discover a car rental agency from the comfort of your home or office. BroadNet’s Android best app for car rental is the ticket for the Android users who are frequently on the move. Regular user interface with all data demonstrated evidently enables a comprehensive booking or simply an instant check of latest hot deals. Simply search, compare and book the deals are all about the process. It is so easy to carry out the said three steps in almost no time. Although, for the last one, you certainly have to visit the car rental office or coordinate a meeting & greet service. "DOWNLOAD BroadNet’s Car Rental Android app now." BroadNet’s Windows Car Rental app is designed for the Windows users to book a car rental via their Windows-based app as easy as a pikestaff like other Smartphone users. "DOWNLOAD BroadNet’s Car Rental Windows app now." BroadNet’s Phone & iPad car rental app enables you to do just everything about your car rental. Search the most favorable deals, compare them in mutual, book your chosen car and get your voucher. The highlight of the iPhone & iPad app is that you have access to every bit of information always with you.